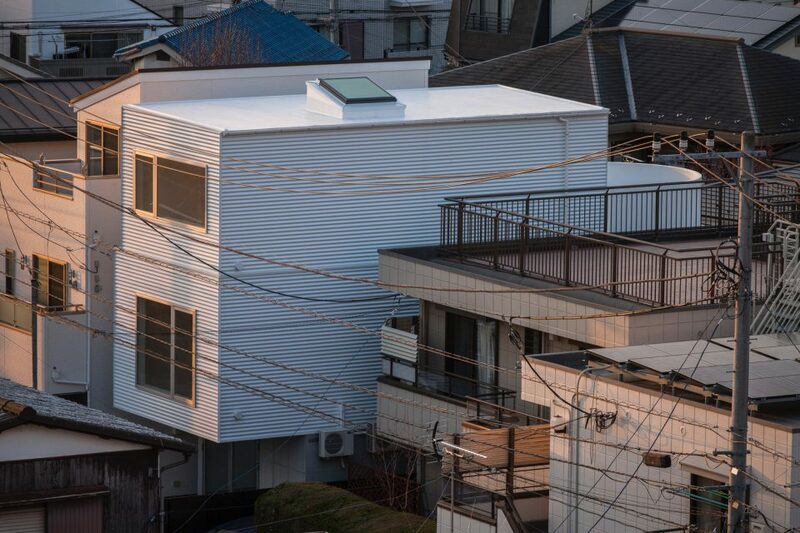 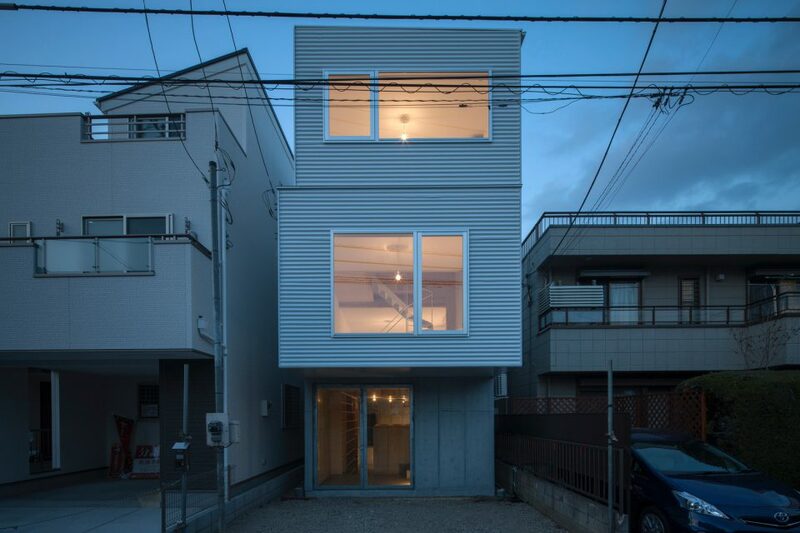 Located in a quiet urban residential area, this house is build on a narrow and long block of 5.5m width and 18m length. It has a mixed structure composed of RC ground floor and wooden second and third floors. 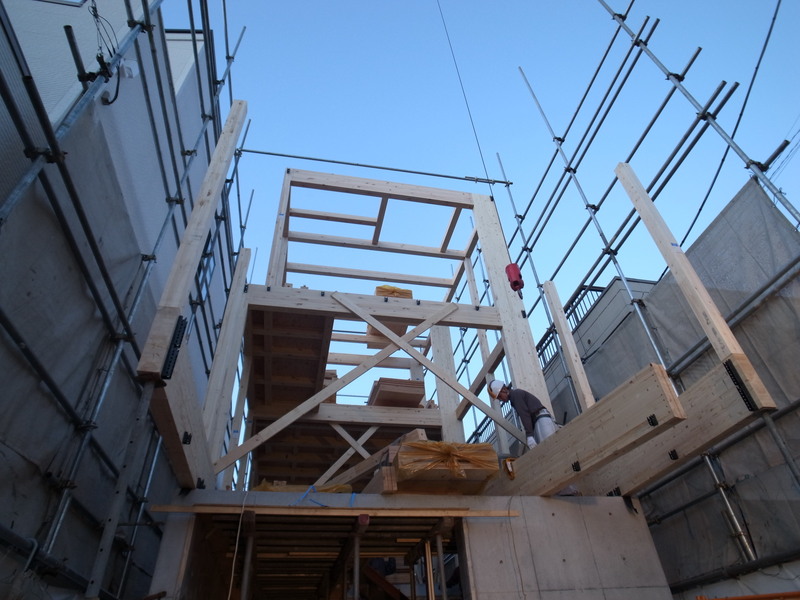 For a long building, bearing walls are normally required to be installed inside, thus it is hard to designed a tunnel-shaped large space. 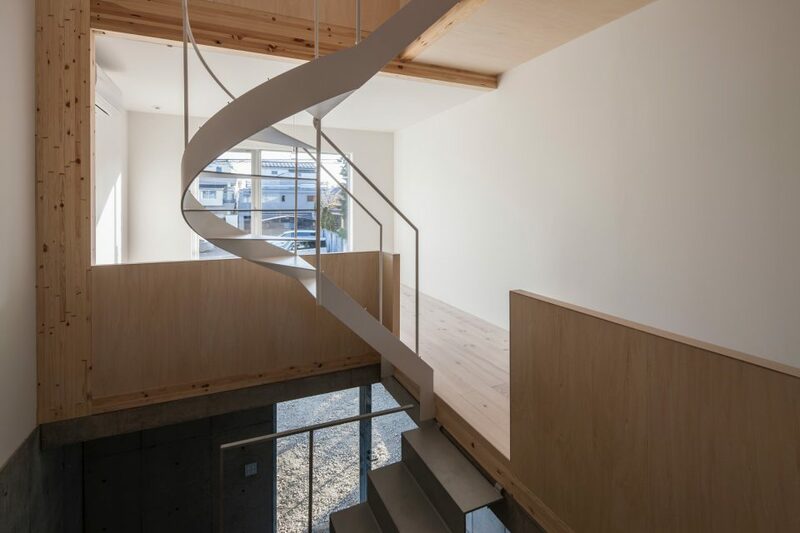 This house, however, comprises a tunnel-shaped open space realized by installing two layers of single-sided Rahmen inside two flame. 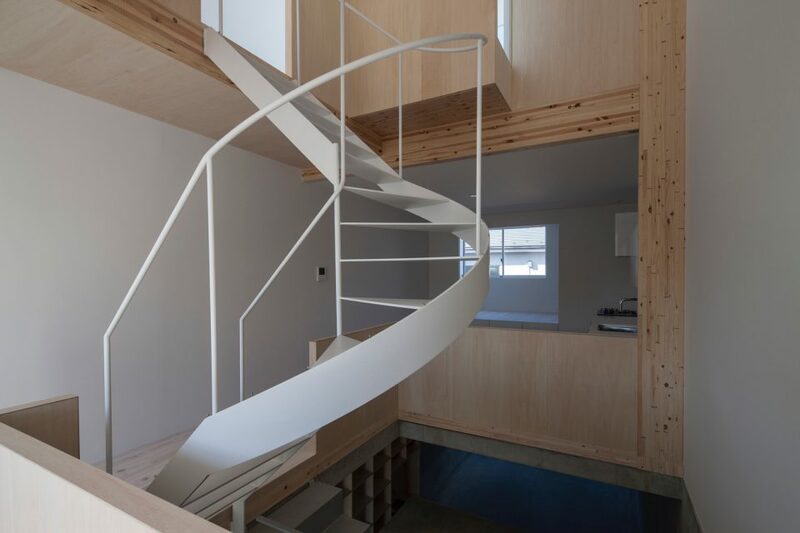 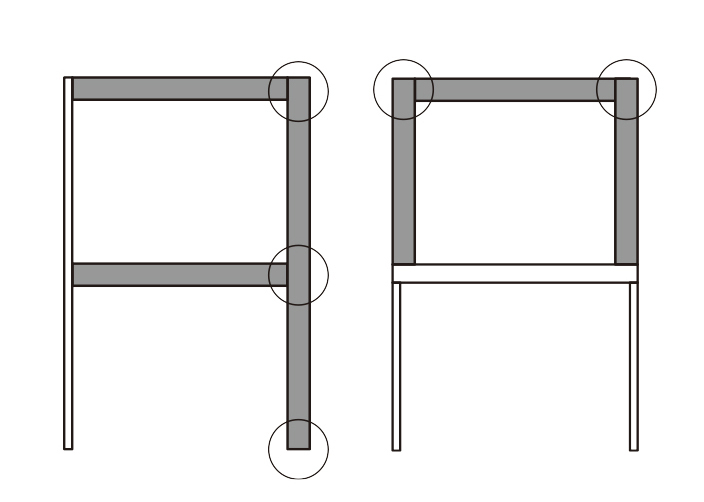 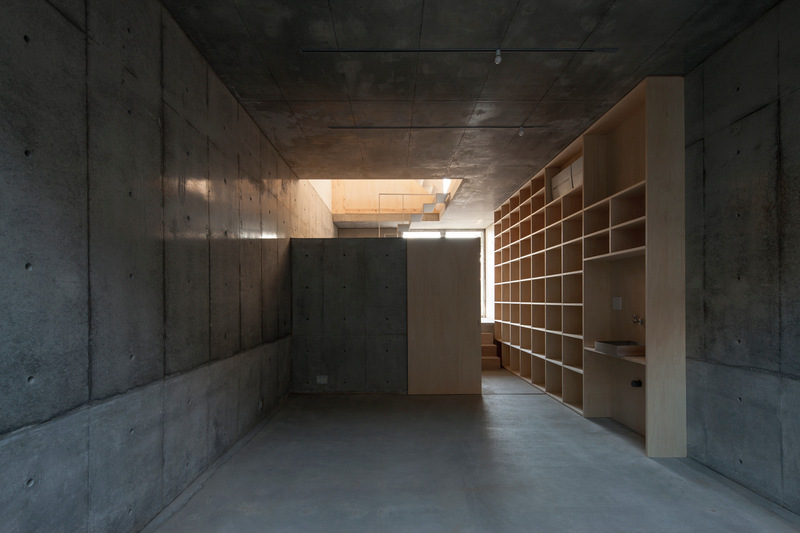 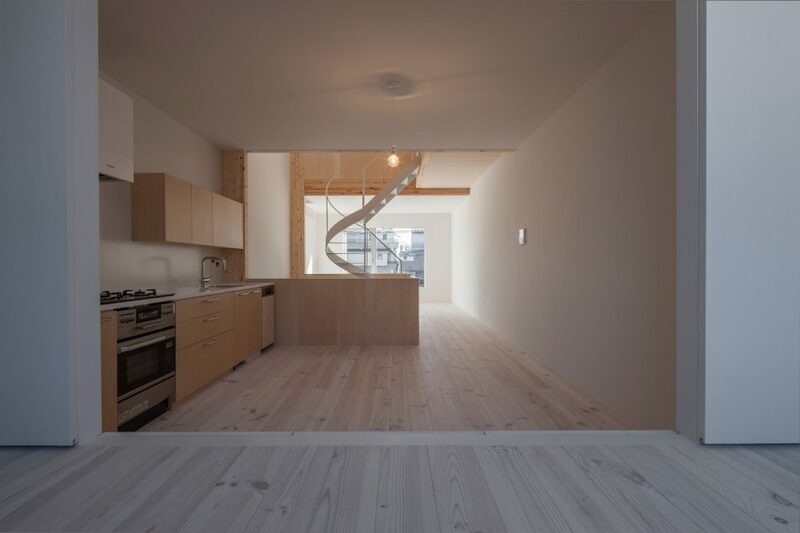 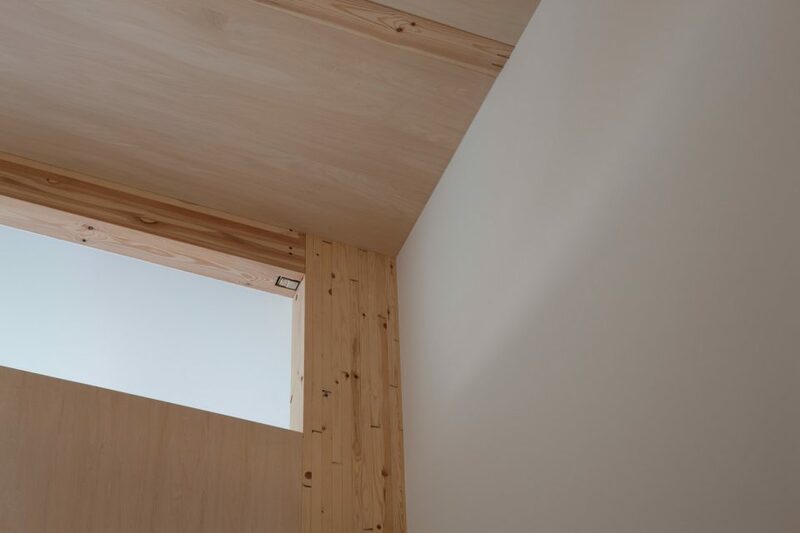 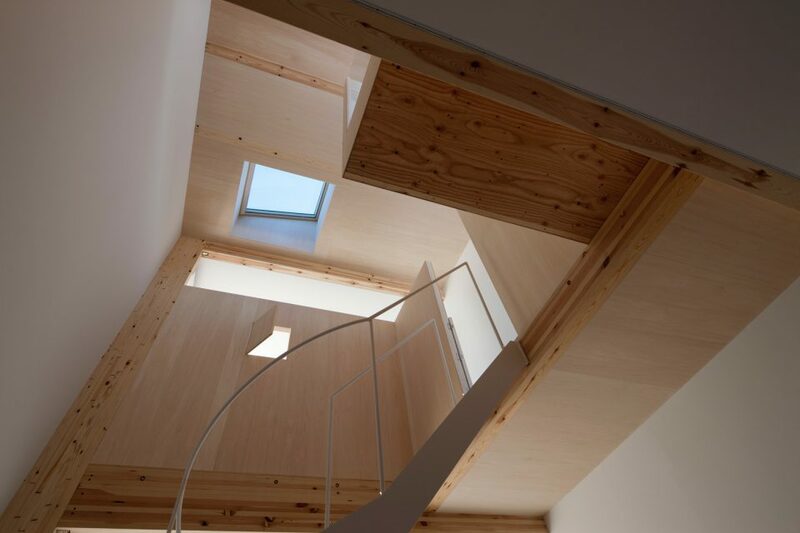 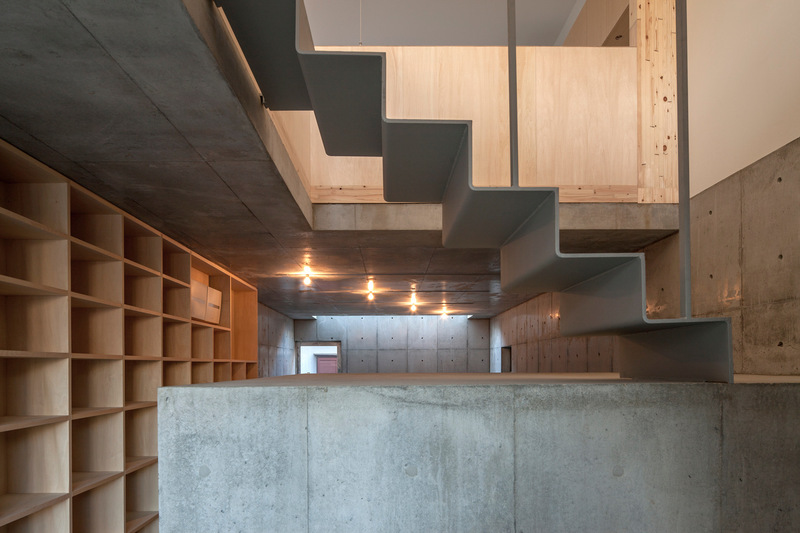 In addition, to realize the wide opening on the third floor, the main feature of this building, Rahmen joints were configured with Node.Rigid connectors only on the shoulder of the third floor, which also enabled a two-meter overhanging wooden structure.